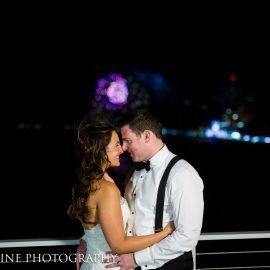 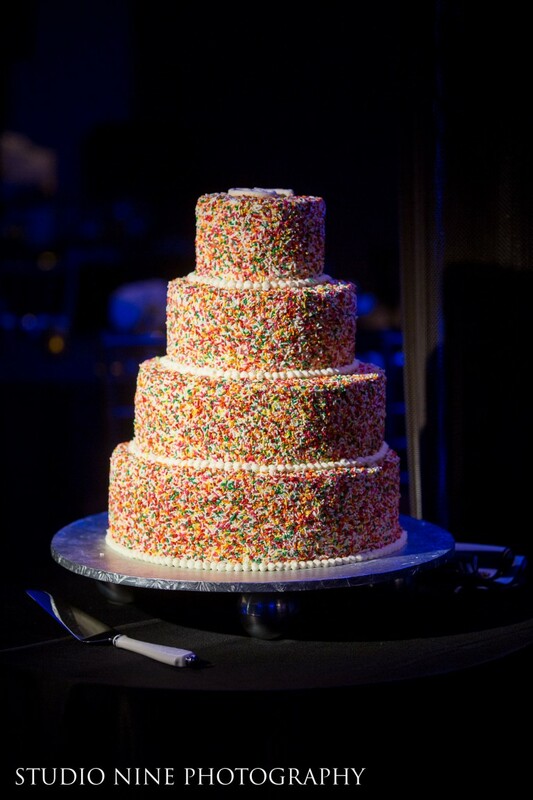 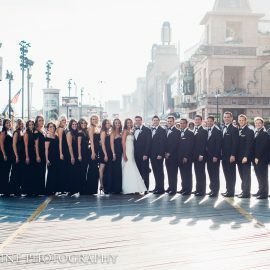 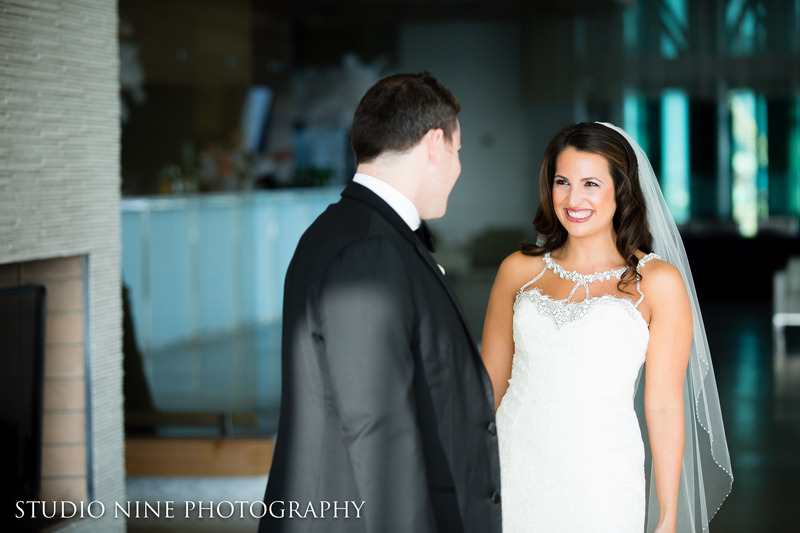 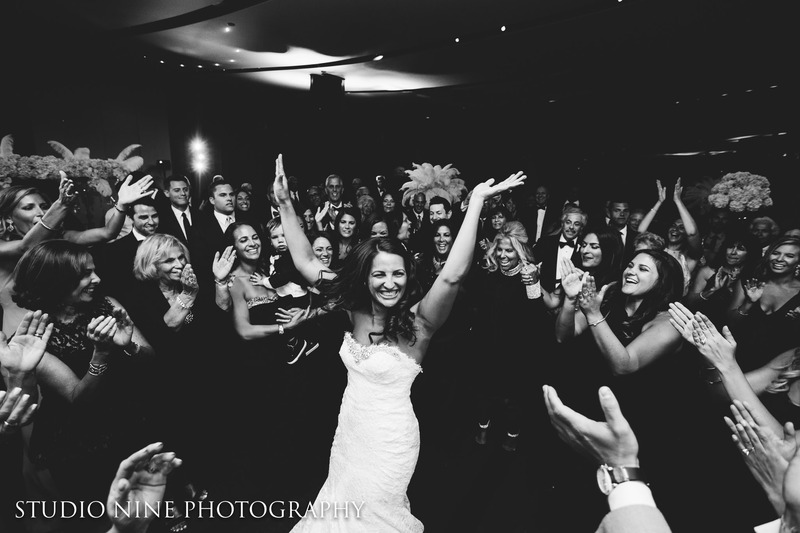 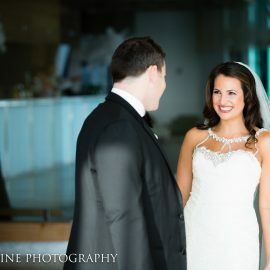 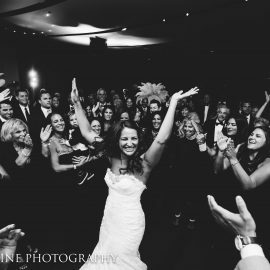 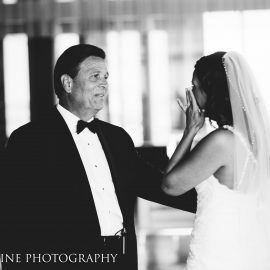 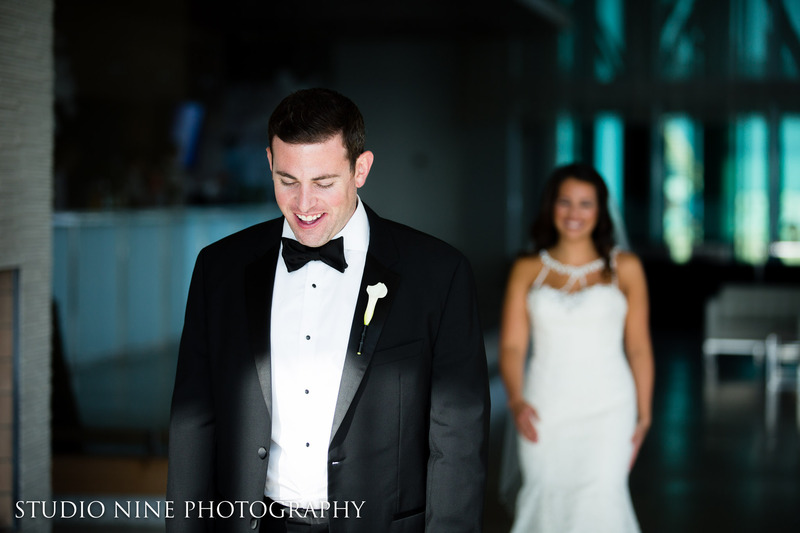 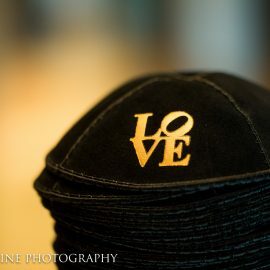 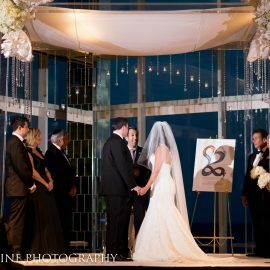 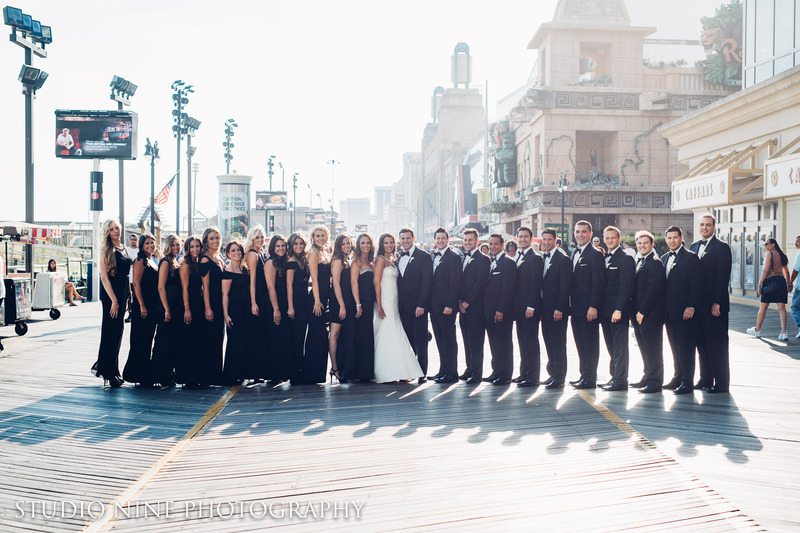 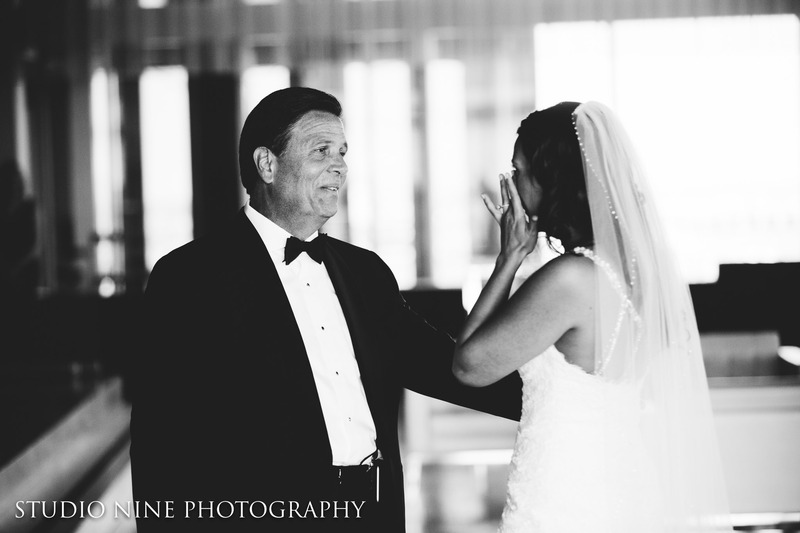 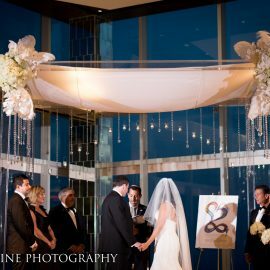 Having met in Atlantic City on Memorial Day Weekend 2012, it seemed like an easy decision to host their big day with us here at One Atlantic! 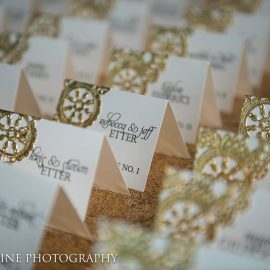 Guests arrived and were greeted by staff with pre-ceremony Champagne and French Macaroons and enjoyed these treats as they awaited the start of Rebecca and Jeff’s Ceremony. 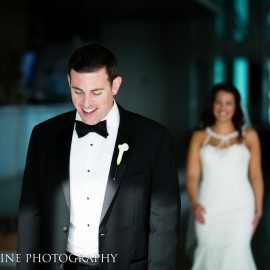 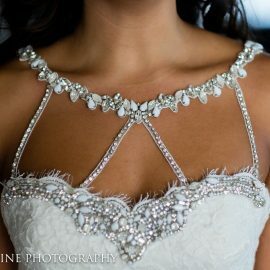 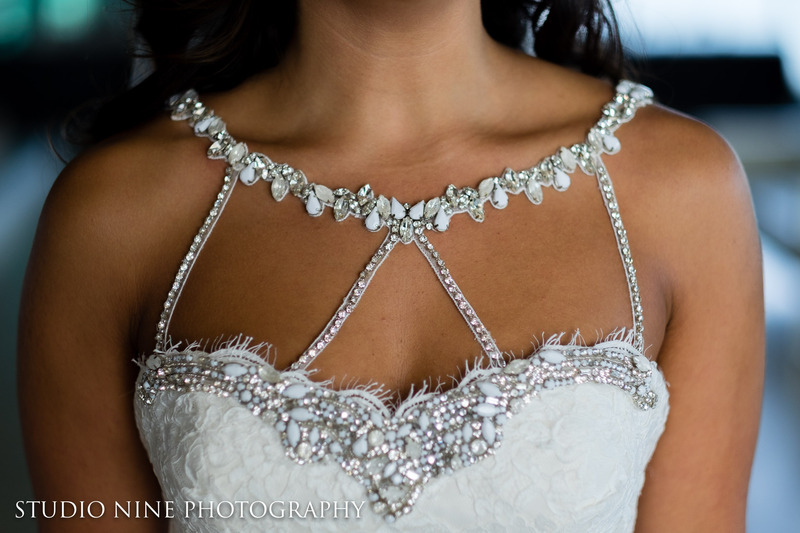 Rebecca walked down the aisle in a Haley Paige gown. 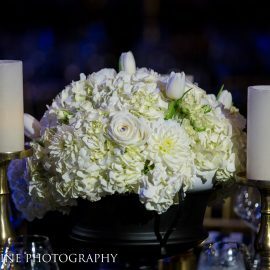 She carried a romantic, hand-tied bouquet of white roses, white mini calla lilies, and white stephanotis with crystal accents. 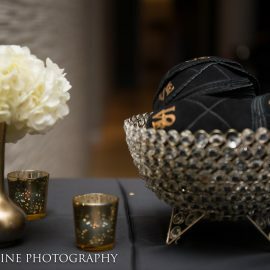 The handle was wrapped with lace from Rebecca’s mom’s Wedding Dress. 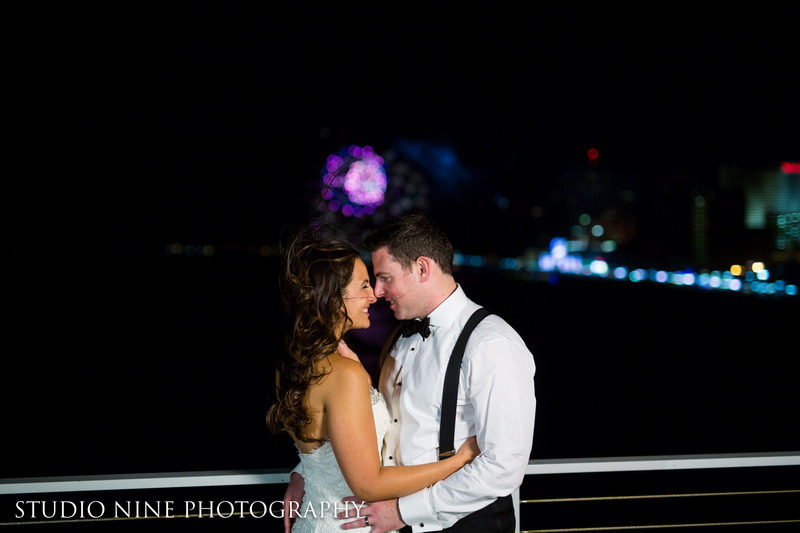 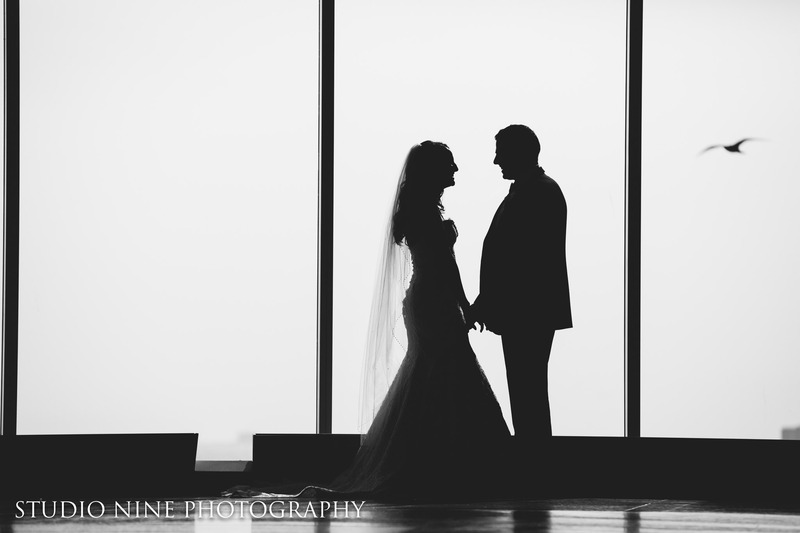 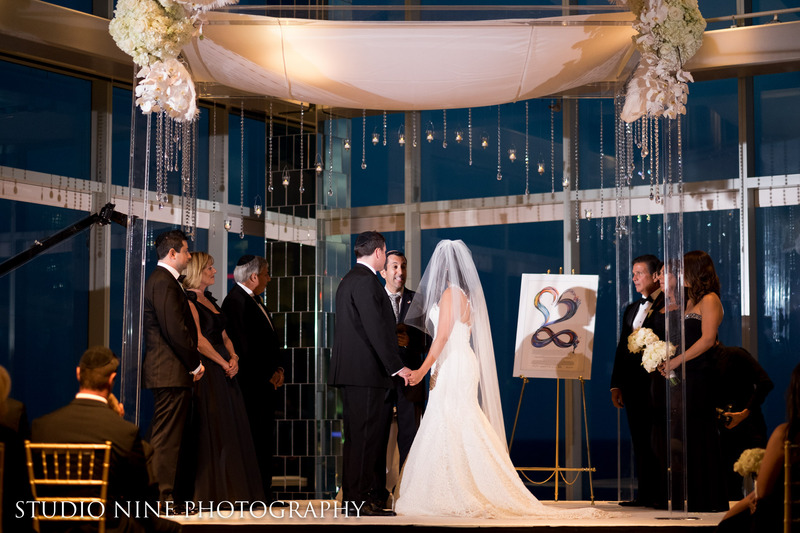 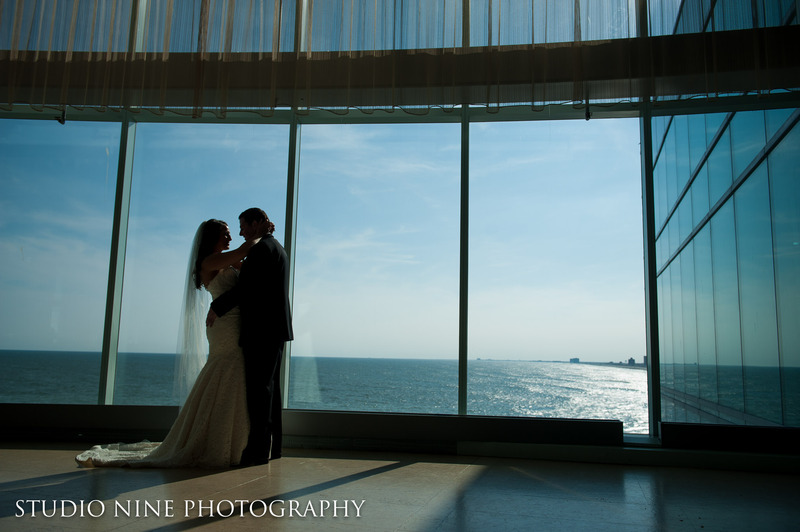 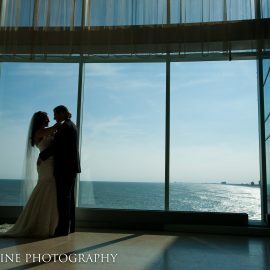 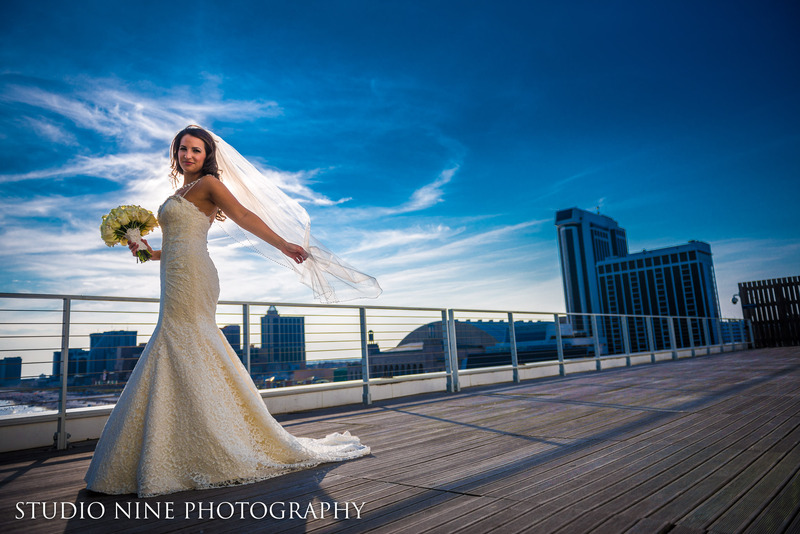 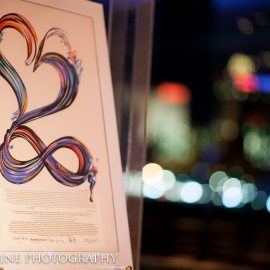 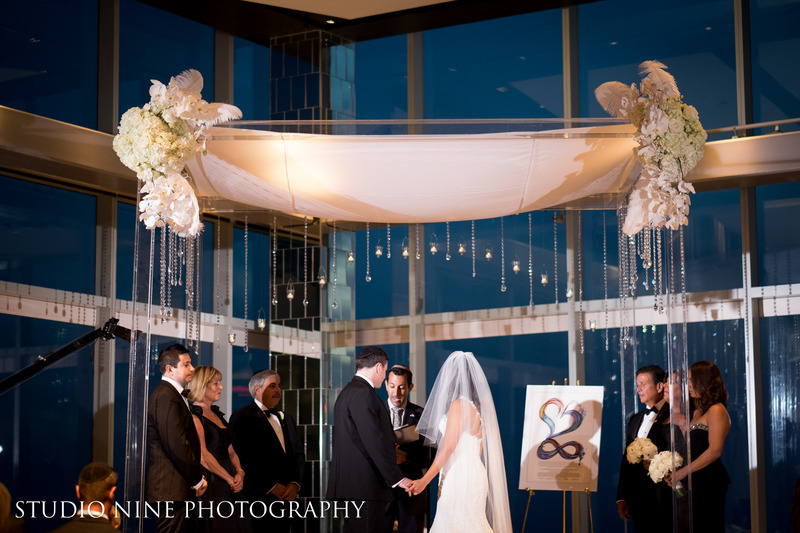 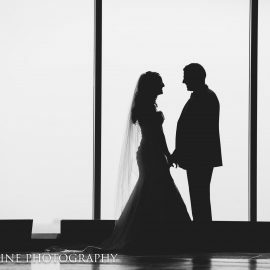 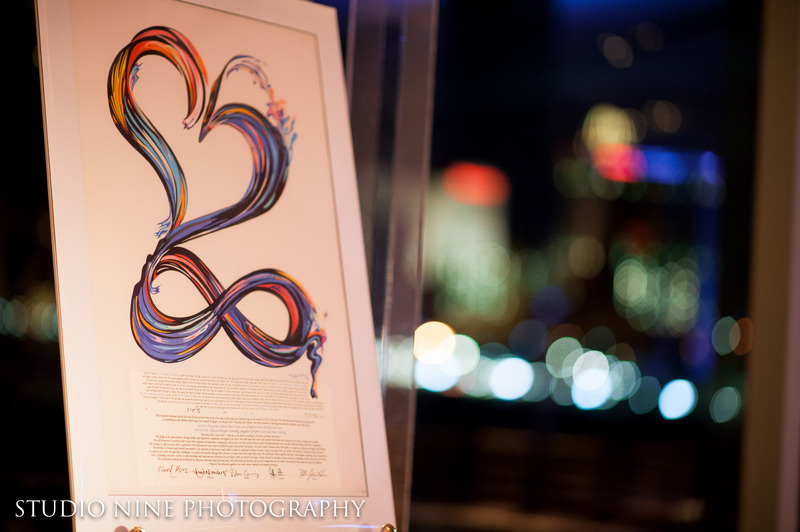 Rebecca and Jeff said their “I Do’s” as the sunset along the Atlantic City Skyline. 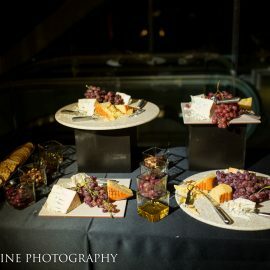 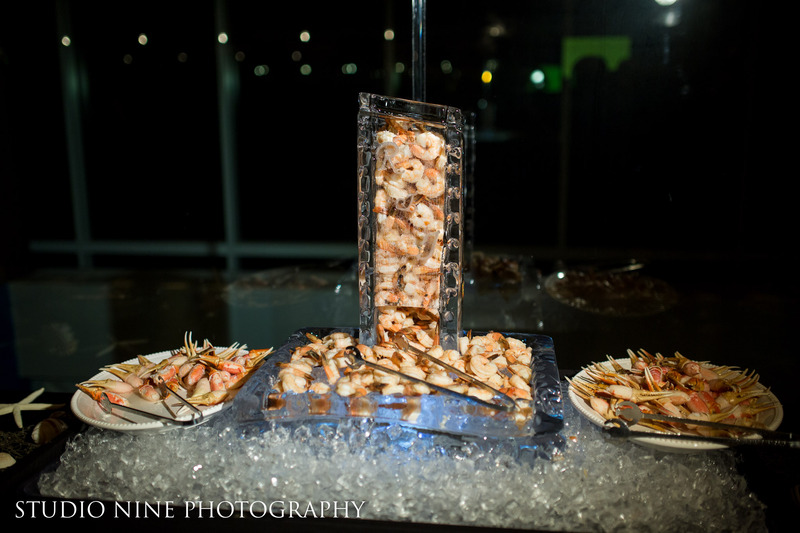 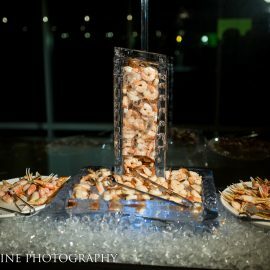 Back in the lobby for the cocktail hour, guests enjoyed our standard collection with TONS of upgrades – a slider display and sushi station along with a raw bar and beer and chips bar, just to name a few! 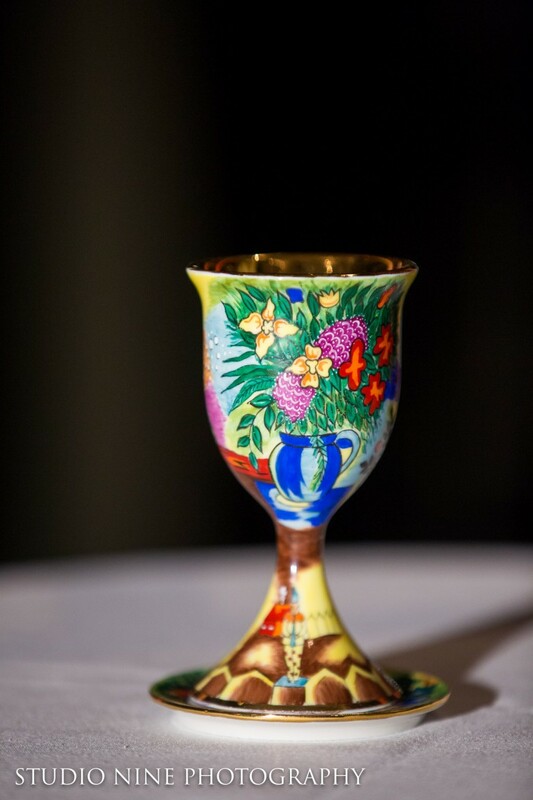 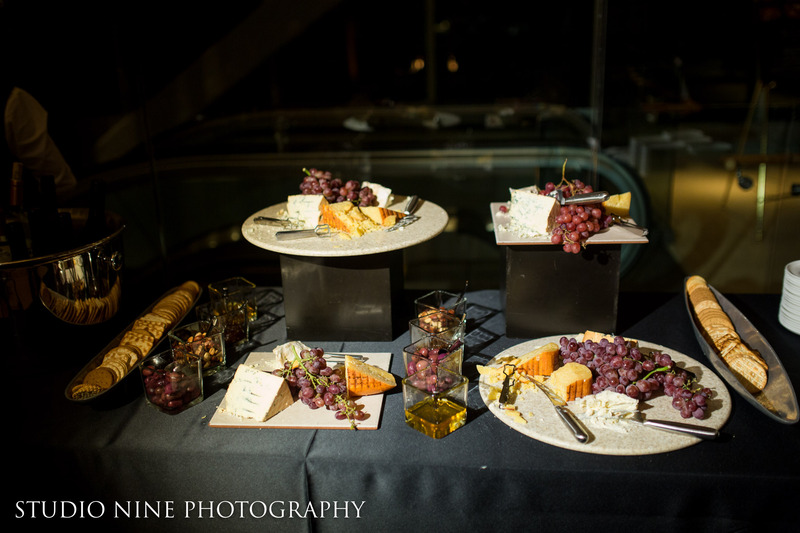 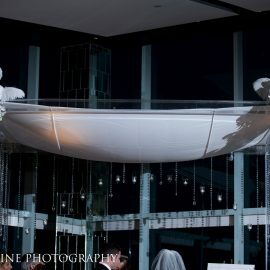 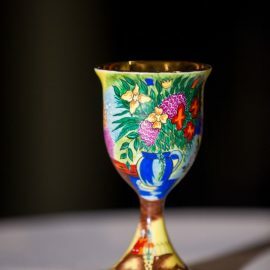 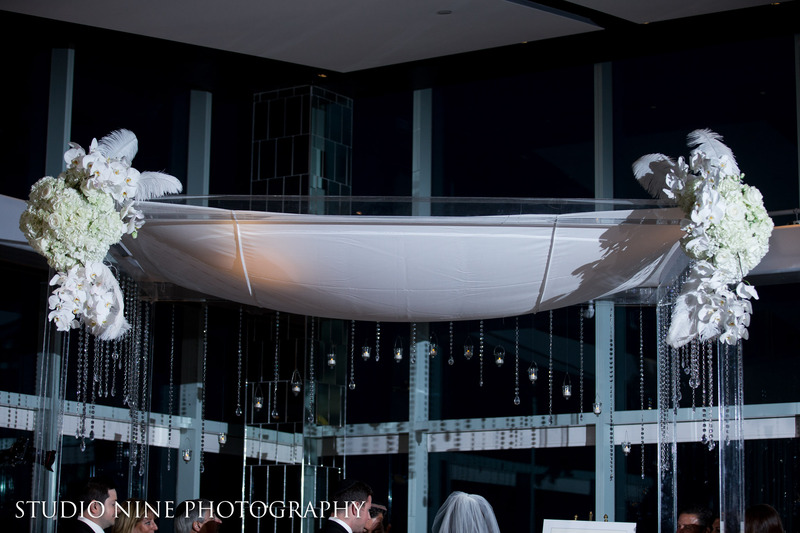 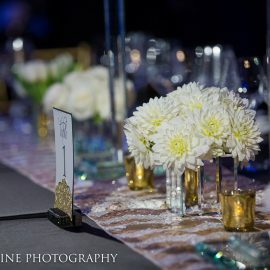 Guests also enjoyed a Premium Open bar along with the couple’s signature cocktail – Prosecco with Blackberries! 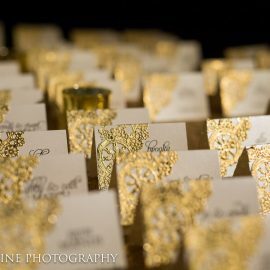 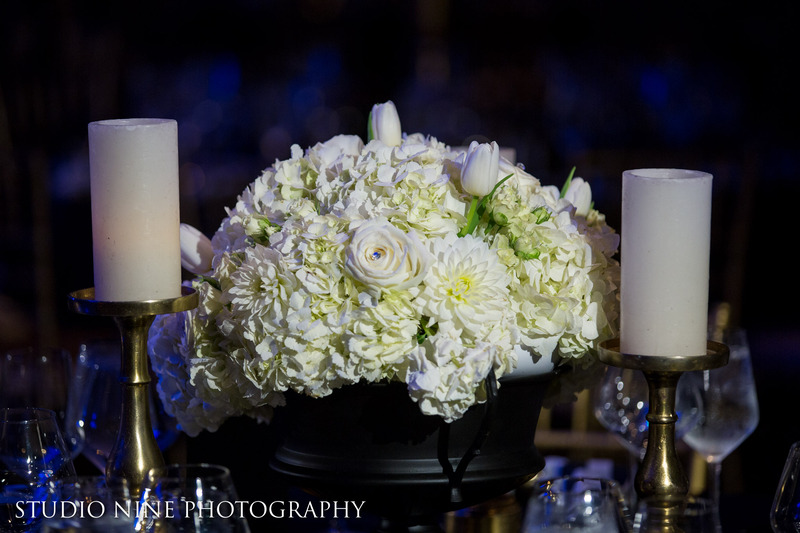 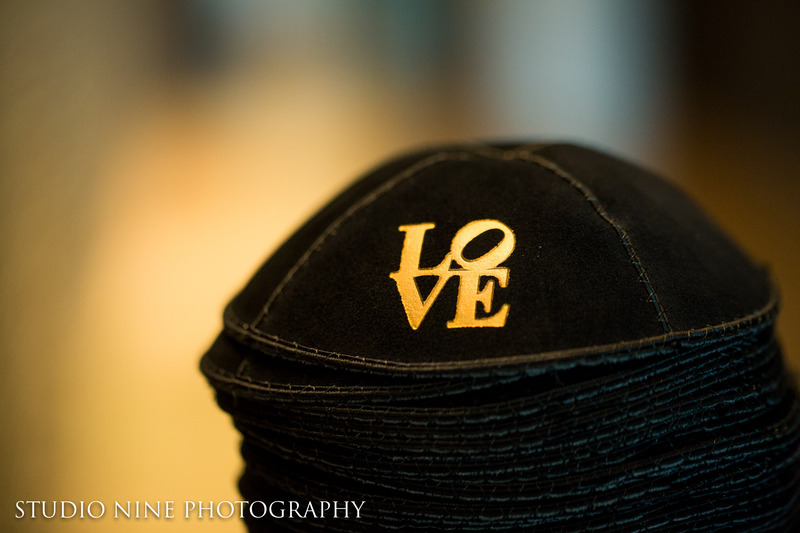 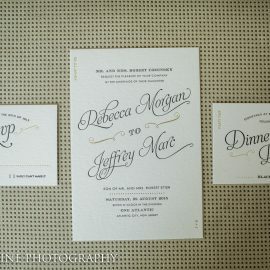 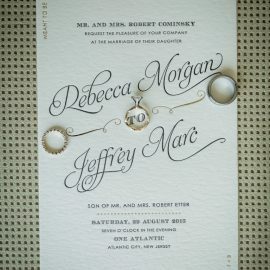 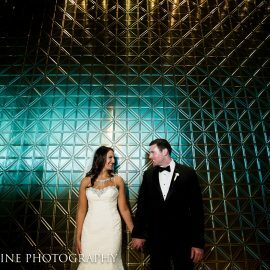 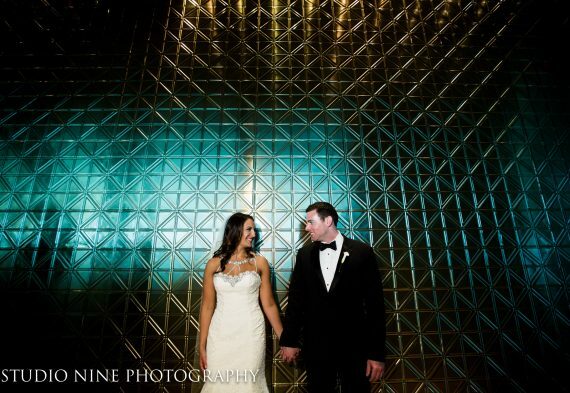 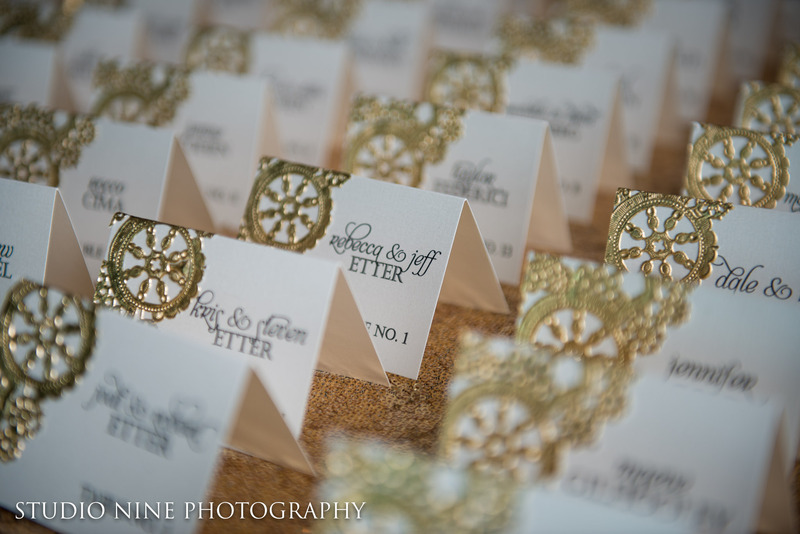 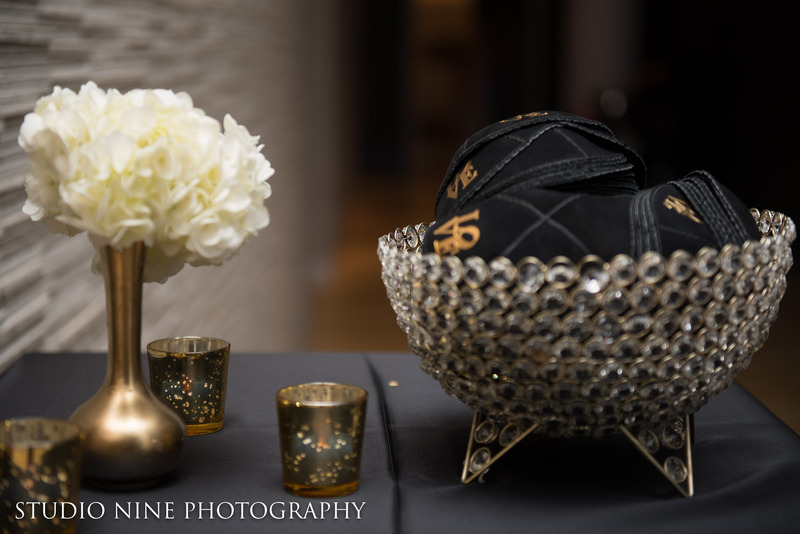 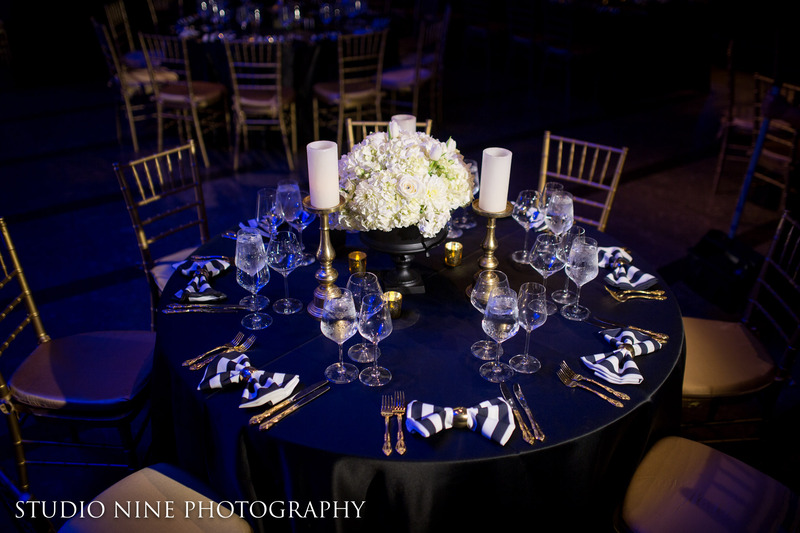 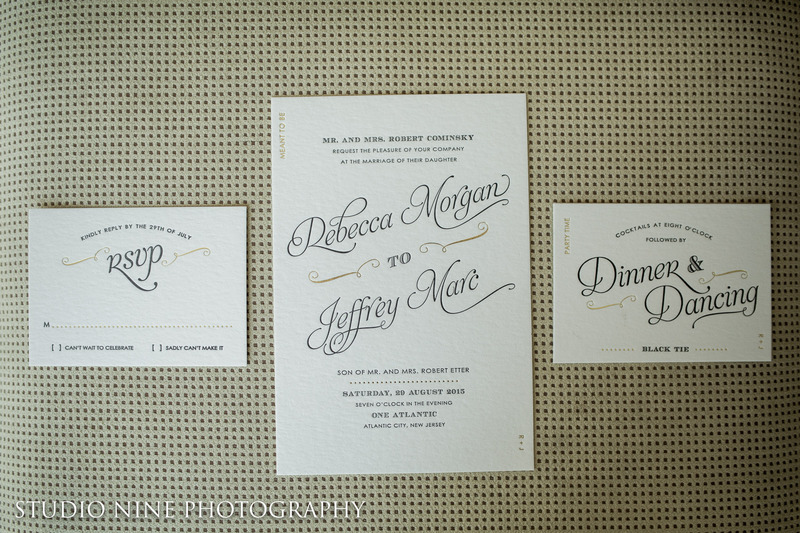 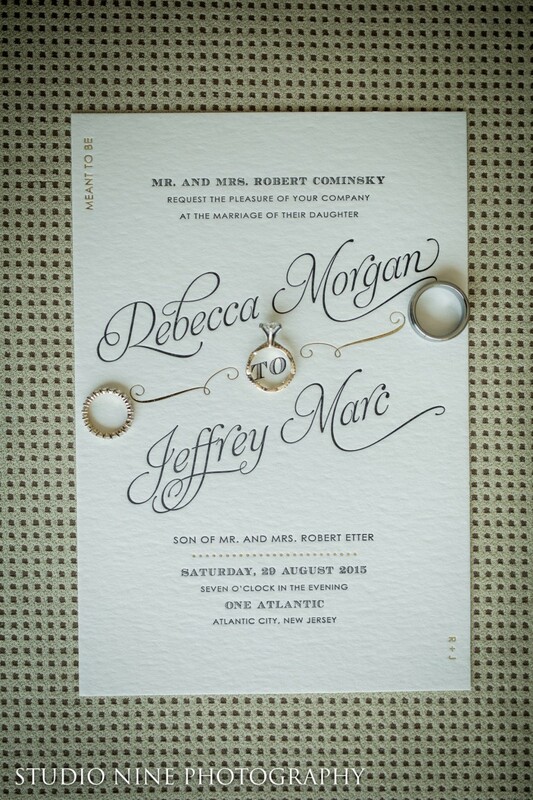 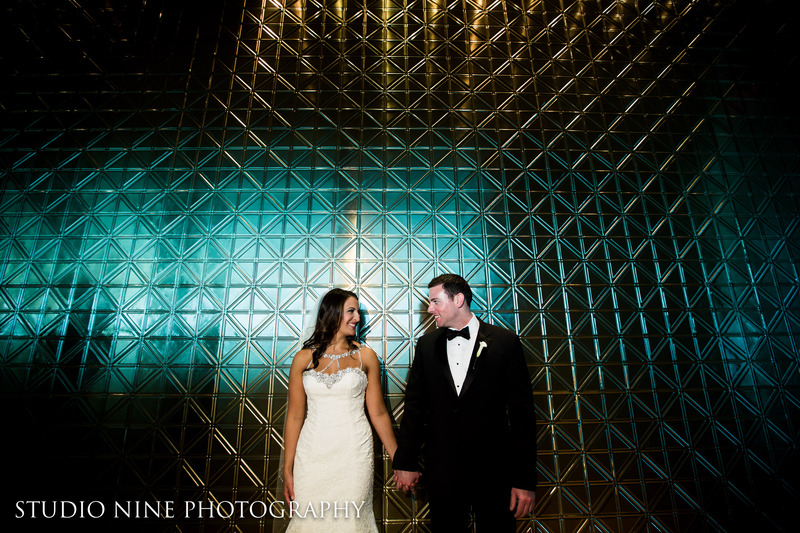 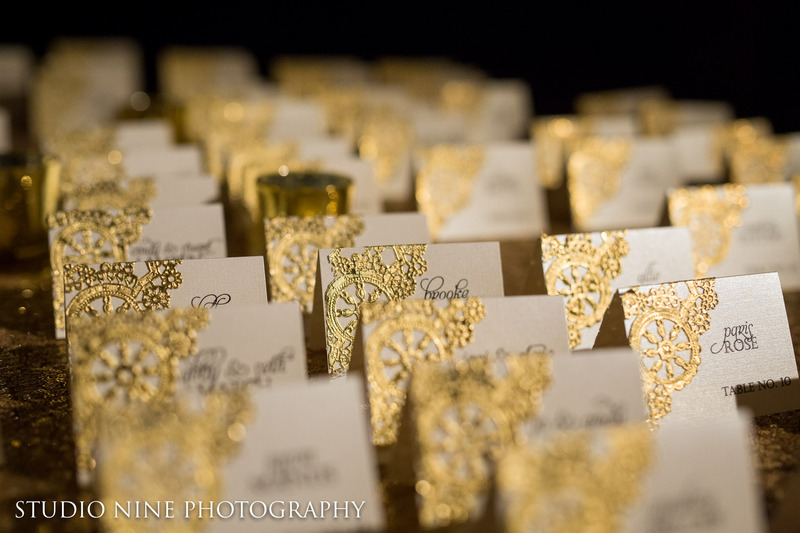 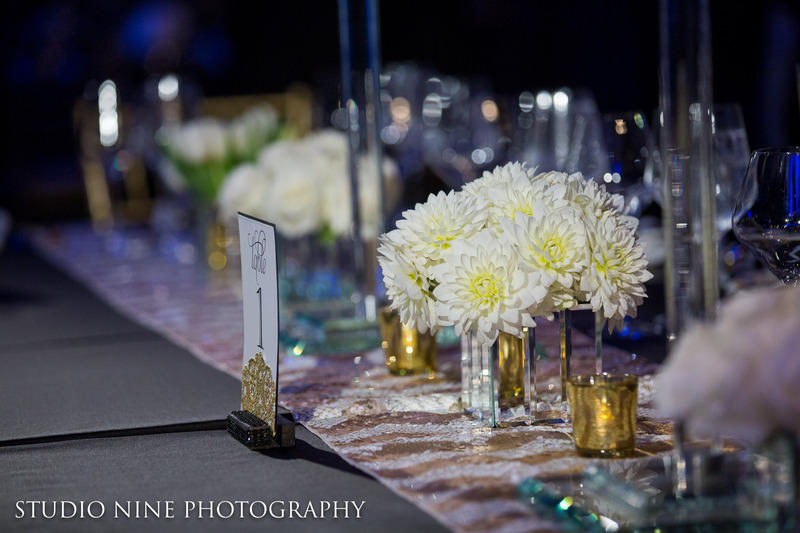 The Atlantic Room was set in the couple’s color palette of black and gold with white accents. 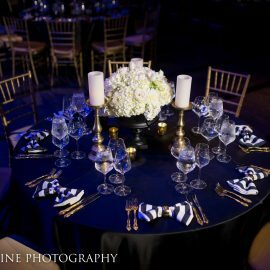 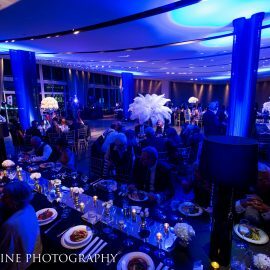 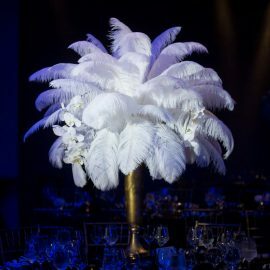 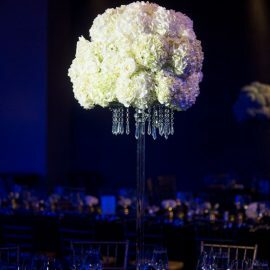 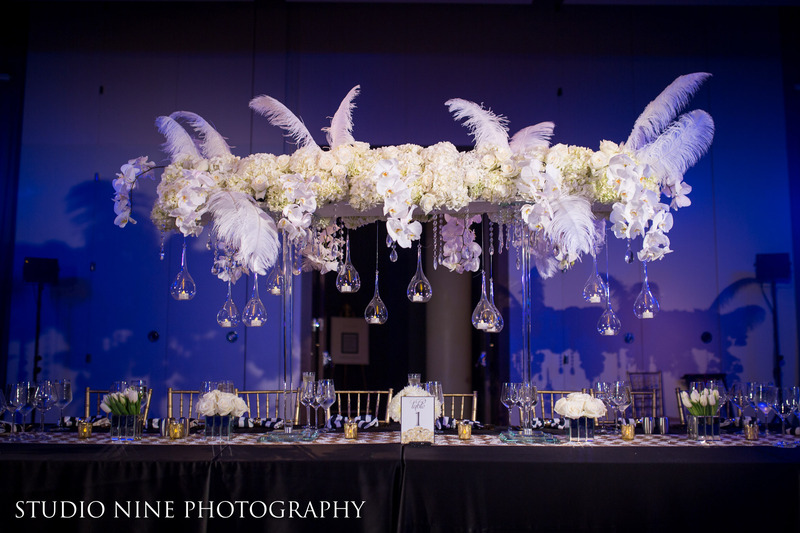 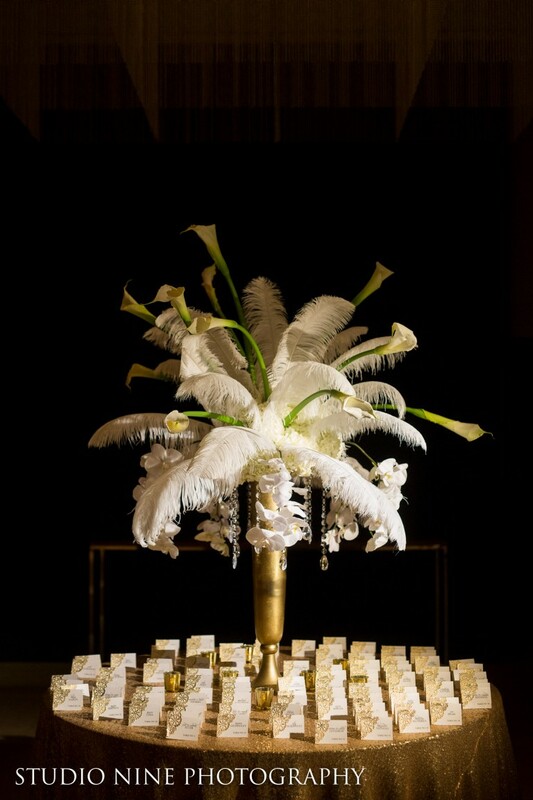 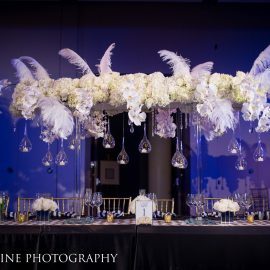 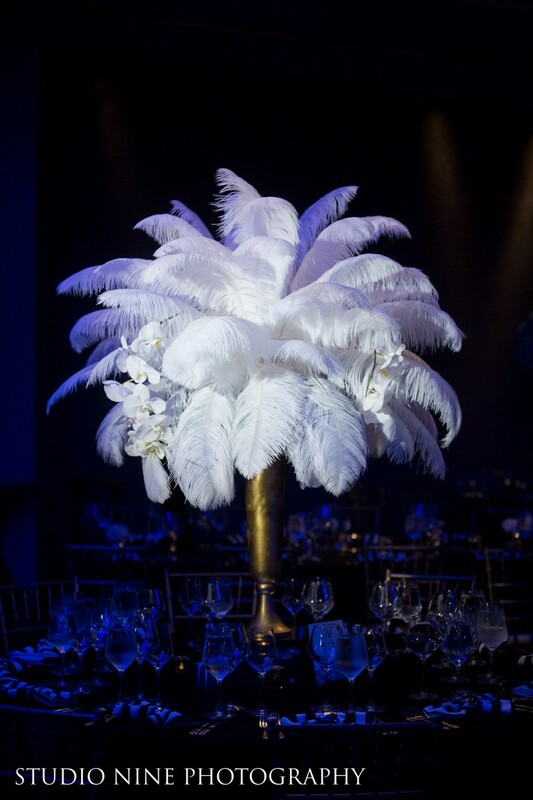 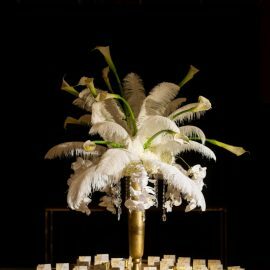 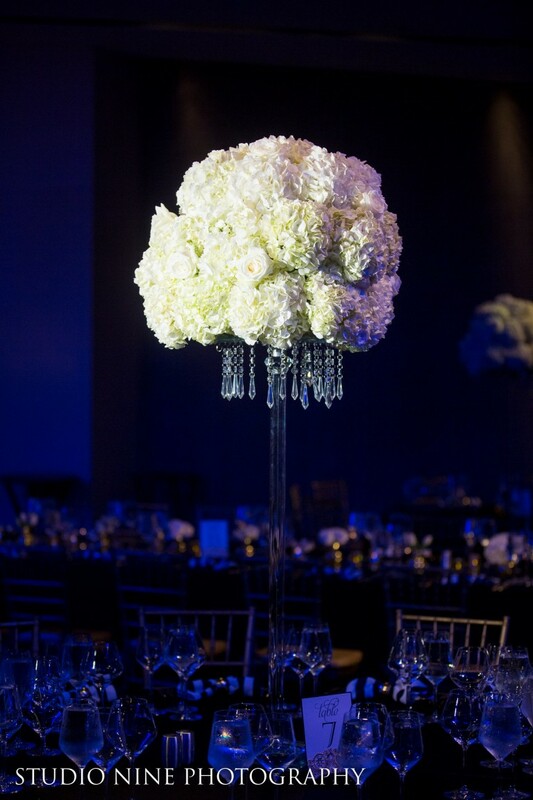 A combination of round and long tables with an assortment of high and low centerpieces gave the room the “elegantly flamboyant” look they were going for! 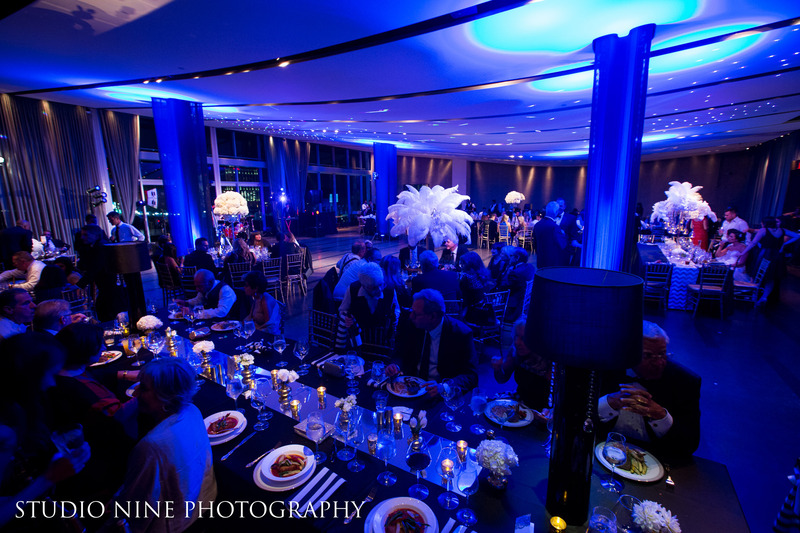 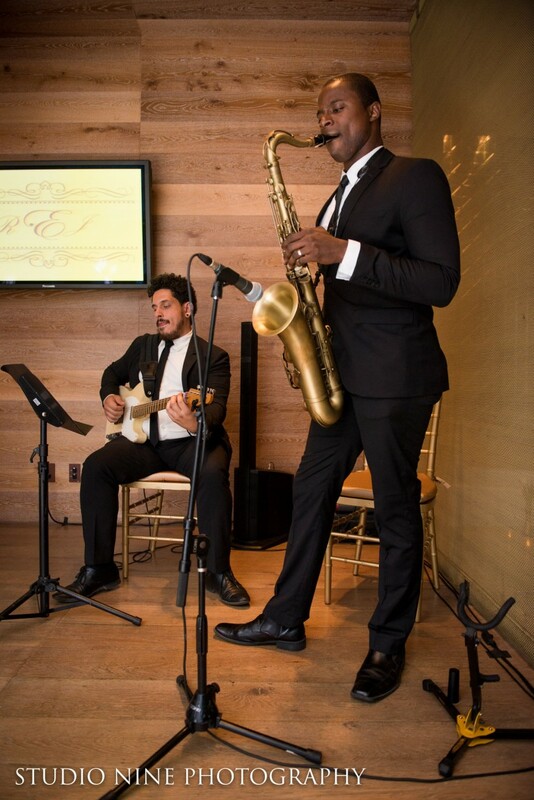 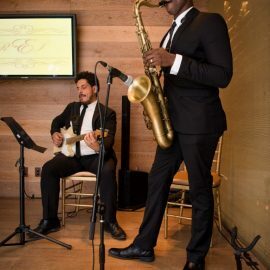 After dinner, guests danced the night away to the sound of Elan Artists’: Soundhouse! 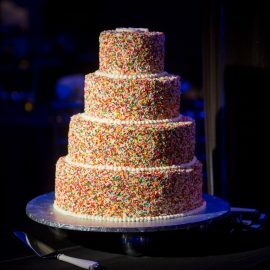 In addition to 3 butler passed miniature desserts, Rebecca and Jeff treated their guests to a Made-to-Order Cotton Candy Station as well as an Atlantic City Boardwalk Dessert Display filled with everyone’s favorite Boardwalk treats, including Steel’s Fudge, Johnson’s Popcorn, and James’ Salt Water Taffy! 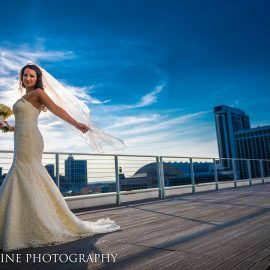 REGISTRATION IS NOW OPEN FOR UNDER THE THUNDER AIR SHOW 2019!